I’ve been doing a lot of research for months into various different platforms so that I can decide which ones to choose to develop for as an Indie. The decision has not been easy and has involved lots of talking to people and reading of post-mortems and sales stats. Finally I think I’ve reached a decision! I have been working on a Facebook game for a year at BFG so it’s an area I know pretty well. However, I’ve come to the conclusion that the golden days are over and now you need a lot of money to market your game. Also you need a team of at least 5 people: Producer/Designer, client programmer, server programmer, artist, metrics/marketing person. Obviously some of those roles could really do with MORE than 1 person. This pretty much rules it out for me unless I get funding and start a Facebook game studio. Alternatively I could make an MMO, except that it would probably take years and require a similar size team, so that’s not appealing to me. I was attracted to this platform because XNA is fun and many of the games on XBLIG are, let’s just say, slightly under par (some are really excellent though!). This gave me the confidence that I could make a mark there as a one person team. Having said all that, I am working with someone who has done a great job converting my Holiday Bonus game to XBLIG in a very short time, and who will be converting Easter Bonus soon and maybe more games. So we’ll see how it goes and if it is worth continuing. I realise that casual games don’t do that well on the platform, but still I’m interested to see what happens. To get on XBLA you need to work for a good year or more in C++ with a decent team. This would require funding for me to do. Also there are annoying contracts with Microsoft to wade through and lots of specialist know-how required. Luckily I know several people who are very knowledgeable in these areas who could help me out. However, I don’t think I want to leap into this arena just yet. I don’t even have a PS3 and I don’t use my Wii much, so having to write a game in C++ for these platforms, which sell less copies than on XBLA anyway, isn’t appealing. Handheld e.g. DS, PSP etc. I have no experience of programming for these devices. I’m sure I could figure it out and get help from some people I know, but I would see these as a secondary platform to launch on after you had hit the main consoles first. I don’t have any decent sales stat info for these platforms. Anyone got some? Haven’t investigated this much. Apparently there are tons of units sold, but there aren’t very many games and I don’t know how many of the users are gamers anyway. Plus there’s the fact that the games would have to be in black and white which I find a bit boring. I will keep an eye on this platform in case it takes off and I need to most fast. I’m just not interested in supporting the myriad of different form factors and OSes. Again, these platforms may take off, but until they do, and until I’ve tried iPad, I’m not interested. I’ve been using Action Script 3 for a year at Big Fish and recently I’ve got to know the core components better. I believe I could bang out some Flash games pretty quickly and try out stuff like Flash Game License and ad support etc. However, it doesn’t seem like there’s that much money in them (and I need money to feed my family of four). Again I’m tempted to make one or two just for fun, maybe at a game jam with Flash Punk just so I have an online game that people can play anywhere without a download. Also Flash could be good to advertise a download game by putting a mini-version out there (including on Facebook). This has been done plenty of times before. PC and Mac are my areas of expertise, at least for Casual Games. I’m that sure getting my games running on Linux wouldn’t be too tough based on what I’ve heard. The real question is should I make Casual Games or switch to something more “Indie” like an Action game, or RPG or strategy? I’m tempted to keep some casual games ticking over in the background, by working with some other partners, whilst I focus my main attention on some non-casual games. Also I’d have to sell non-casual games differently because the casual portals wouldn’t be interested in them so building up an audience on my own site, using affiliates, and getting on Steam and Direct2Play etc. would be the way to go. Plus I want to see how the new Mac App store performs with my Holiday Bonus and Oz games. This will probably happen in 2011, but after I do something else first … read on. The iPhone is super saturated, but also has a ton of units out there. Some games can still do very well on it, but personally I don’t like the form-factor. It’s too small and fiddly and limits the type of games you can make. Mind you if I made a great game on a different platform, it could be a no-brainer to get a mini-conversion done for iPhone. iPad is a different matter. I love the form factor and I think the device is great. It’s also encouraging that people aren’t all selling games for $0.99. Sure there are less iPads out there than iPhones but good and even mediocre games seem to be doing pretty well. Therefore I’m going to start with iPad in 2011. I can’t release any new IP until my non-compete with Big Fish expires in mid-April, but I can at least figure out the platform and get something ready to launch. Also I’m working with someone else to convert some of my existing IP to iPad in the near future. That will be a good test of the platform and will help to inform my future decisions. If I do any PC/Mac/Linux stuff I’ll stick with BlitzMax because it’s awesome, easy and fast, and works on all of them seamlessly. So there you have it, I should end up with several games on XBLIG, several on iPad, a couple in the Mac Store, some casual downloads via partners, possibly an Indie download title, perhaps something on iPhone/Android/WP7, and maybe even something in Flash. Sounds ambitious I know, but I like aiming high! It’s certainly going to be a productive year in terms of products shipped, whatever happens. 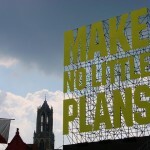 Of course plans, like wars, are subject to change, but that’s what I’m planning to do for now. Wish me luck! Have I missed out a platform you think deserves a mention? Or have I missed some important piece of research that will change my mind? Please let me know your thoughts! This entry was posted on Saturday, January 8th, 2011 at 10:06 am and is filed under Plans. You can follow any responses to this entry through the RSS 2.0 feed. Both comments and pings are currently closed. I have worked on a very polished and appealing puzzle / brain teaser game for Nintendo DS in my spare time during the last year. Last month I contacted publishers and nearly everyone gave me the exactly same feedback: They liked the game very much and told me that the market is very crowded and you won’t get any sales if you don’t have a big licence. And they all asked me to do a iOS Version of it. I also have no idea how you can publish a DS game on your own without publisher. The first problem would also be that you won’t get licensed developer of Nintendo if you don’t have a console track record. I only got one because I had some contacts. It’s also not the easiest thing to develop for if you are used to BlitzMax, because you’re much more on a lower level of programming. This is really great advice thanks Jochen! I forgot about needing a publisher for DS and getting approved etc. Pretty much the same as for the consoles i.e. not easy unless you have a track record and/or know someone. The lower level coding doesn’t appeal to me much any more these days either. Sorry to hear about your experience, I hope you can turn it around! Just putting a plug in for Linux…I’ll be sure to support you regardless of what type of game you put out. On the facebook front, I believe you can make a facebook game with a team of one, but the bigger decision is deciding if you want to make games as a stand-alone product or as a live service. The potential audience on facebook is huge and it’s probably the only current platform where developers outside of the top 100 can still make very good money. Re: DS – The R4 chip has really taken the steam out of the DS platform for publishers. The handheld market is filthy with piracy, which is very unfortunate. This leaves AAA Nintendo titles and licensed kids games as the main outlets on the DS. Re: Kindle – Dan Cook and the gang over at Spry Fox have made some interesting games for Kindle and have had a lot of success. It’s a WIDE open market, but most game genre’s won’t work on the platform because of the low refresh rate of the screen and limited inputs. If you have a game that works on Kindle in mind – there’s a big opportunity. With gaming being mainstream thanks to iPhone and facebook, the lack of ‘gamers’ on the platform doesn’t seem to be holding Spry Fox or EA back. Scrabble and Solitaire are currently both in the top 20 sellers on Kindle and Spry Fox’s TripleTown made the top 10. For tools – I think you’ve made a good choice. My decision to go with Unity is not only based on current multi-platform support, but also future platform support. Going with a tool-set that lets you easily publish across multiple platforms is key. Titanium. A cross platform tool that looks like compiles to native code. Worth a look. @Jake Albano: Thanks for the support! @Shane: All good points thanks Shane. Yes a game a service on Facebook is what needs a team, a standalone Flash game is a different matter and I just heard about someone who got theirs on Mindjolt which meant 2 million plays. Kindle is certainly intriguing and casual games would do best on there of course. I expect Popcap might have a go soon. Perhaps I should investigate more, I’d certainly like to see some sales numbers. @Phil: Thanks for the Titanium info. Have you used it? The marketing costs for facebook games is really an issue. I don’t have millions of dollars to buy ads for my games like zynga does… I wonder if there are any other (free) ways to get your game promoted on facebook? Yes agree a Facebook game portal that promoted the games and gave a % back to the dev would be a great way to get marketing and would help the best games do well. Meanwhile there’s click exchange networks, although you need some initial traffic to do that. Perhaps driving people to Facebook via a Flash game portal mini-game could work? Yes I also think so. Some free but hiqh quality game would surely attract some people to your Facebook website especially when your game stands out. So I guess when you’re an Indie giving away stuff for free is the best sort of marketing you can get. What about the Amiga.. due for a revival any day now.. honest. Best of luck to you Grey! will you be releasing your framework (or even better frameworks) too ? @nikki: Unfortunately I can’t release the framework because Big Fish Games now owns it although I do have a mini-game framework that I could do something with + I may make a framework for the new Blitz monkey language.